In the context of the Financial Perspectives 2007-2013 and the Economic Partnership and Business Cooperation part of the ‘Industrialized Countries Instrument’ (ICI), the EU Gateway Programme was designed to contribute to improve the competitiveness of European companies and strengthen their presence on key markets. The EU Gateway to Japan and Korea started in March 2008 and by its termination in July 2014, had implemented 5 cycles of business mission in technology and design sectors. Specific business cooperation actions were set out to support the development of trade and investment with Japan and Korea. 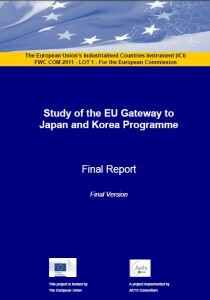 This study aimed to make an independent assessment of the past performances of the EU Gateway to Japan and Korea Programme, and study the criteria on relevance, effectiveness, impact, EU added value, and complementarities and coherence of the Programme. Rather than an evaluation, the project was understood as a prospective study aiming to provide recommendations on a potential future framework and related policy strategies for business cooperation with emerging and industrialised countries. In Japan, the team of experts observed the Environment and Energy-related Technologies business mission held in Tokyo. 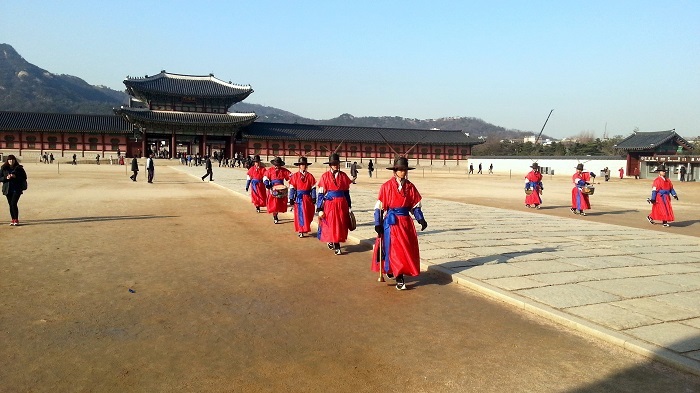 In Korea, the team accompanied and observed the Healthcare and Medical Technologies Mission from. Both business missions included a number of activities such as interviews, meetings, briefings, networking events, business exhibitions, de-briefings with for instance the Coaching Unit in Japan and Korea, the Operational Unit Japan and the Operational Unit Korea, who provided access to the databases under their management, relevant departments in the European Delegation in Japan and Korea, some European Union Member States (EUMS) Trade Representatives, the Japanese (JETRO) and Korean (KOTRA) Governmental External Trade Associations, and private business associations in Japan and Korea, to get a better insight in the local business culture and (non)-existing trade barriers. More information on the EU Gateway Programme can be found on the Service for Foreign Policy Instruments (FPI)’s website.